Is Tube Feeding the Answer to Under-Nutrition? 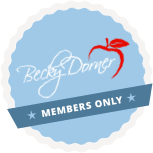 - Becky Dorner & Associates, Inc.
Home | Speaking & Training | Is Tube Feeding the Answer to Under-Nutrition? OVERVIEW: Many health care professionals, patients, and families are quick to consider tube feeding for residents with unintended weight loss, poor intake, or declining nutritional status. This session will explore the evidence for using tube feeding and explore the ethical and legal ramifications of a decision to initiate or withhold tube feeding.